Huawei is a global leading ICT equipment and service provider. Huawei certification system has become talent development and rating standards recognized in the ICT industry. 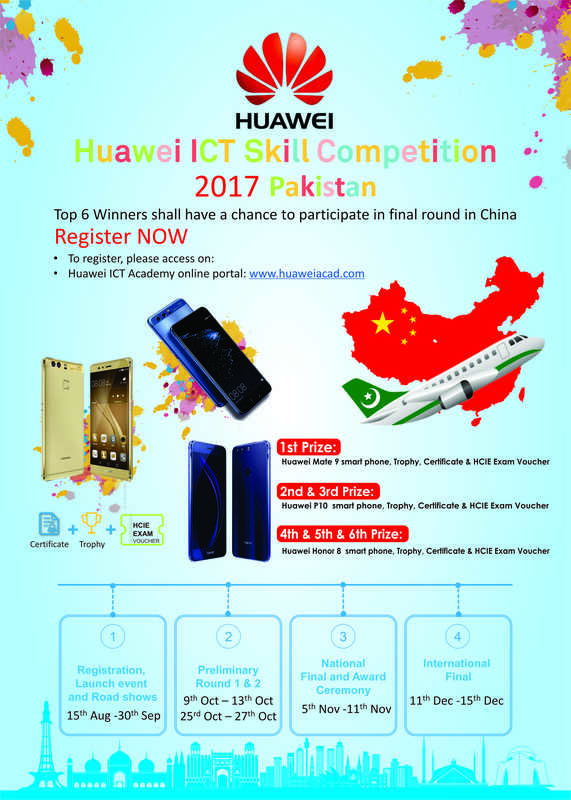 To lead technical certification in the ICT industry, cultivate future ICT professionals, and build a healthy ecological chain, Huawei works with Huawei authorized training centers to invite Huawei Authorized Information and Network Academies (HAINA, short for Huawei ICT Academy) and other colleges in Middle East to participate in Middle East 2017 Huawei ICT Skill Competition. Free HCNA certification Exam Voucher Program, During the period of ICT skills competition, we have an unprecedented promotion: the free HCNA certification exam voucher program. Huawei ICT academy skills competition applicants will receive a free 'Exam Voucher' if you meet ALL criteria: 4 or more hours of online learning and 60+ points for the online test. All entrants must complete this activity by 31th, Dec, 2017. This promotion program is to spread advanced ICT technologies and information to university students, and cultivate ICT talents with practical skills.